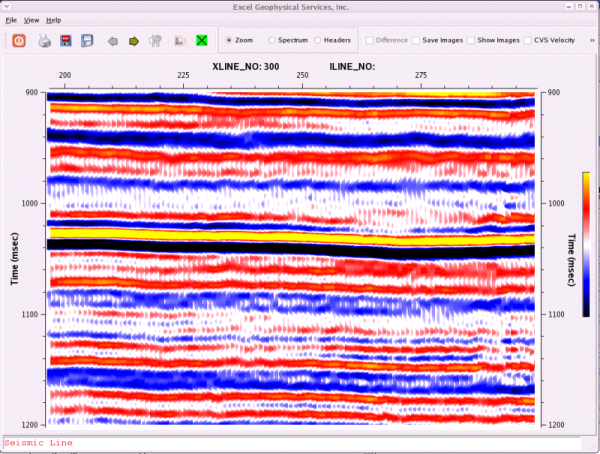 Enhances the frequency bandwidth of seismic data by applying a zero-phase filter of the form f^ex in the frequency domain. A weighted version of the enhanced high frequency data is combined with the input to retain the low frequency information. Frequency limits for the filter application can be defined. For example, if the minimum frequency is set to 10 Hz and the exponent is set to 1, then all complex elements of the Fourier transform above 10 Hz are multiplied by 10. The unfiltered data is smoothly merged with the filtered data to retain the low frequency information. The filter is of the form ‘f^ex. The filter exponent, ‘ex’, can be increased to get a stronger filtered (enhanced) output. 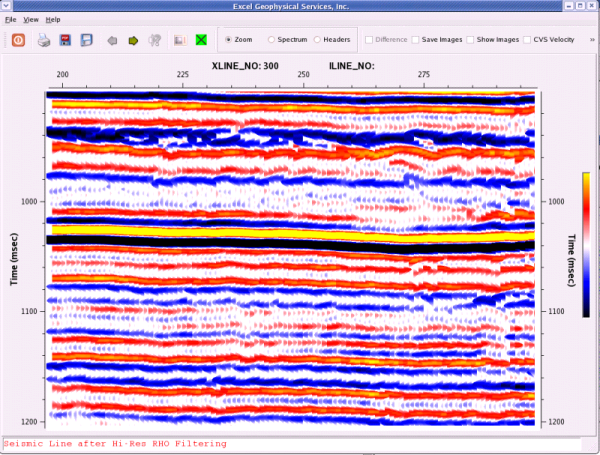 Seismic line after Hi-Res RHO filter.